Today, video Surveillance is moving towards megapixel resolution ofr HD monitoring. 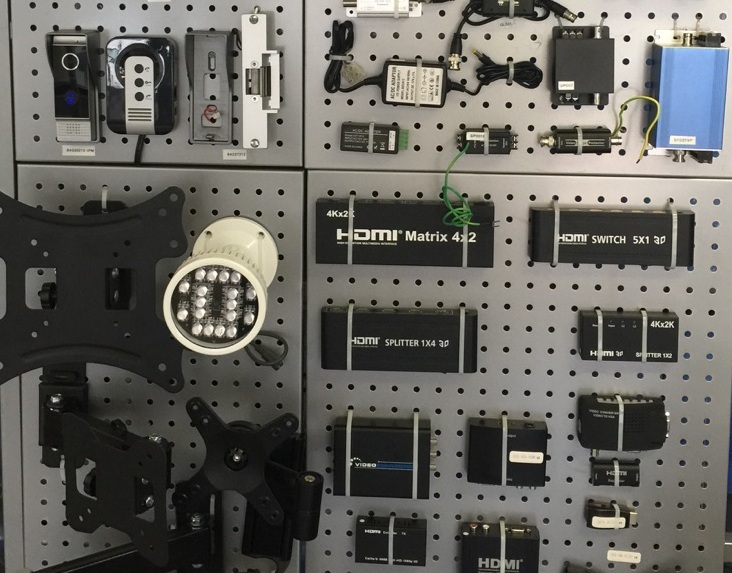 We can find a wide range of cameras having analogue technology or digital IP format technology. Current the camera resolution includes 1.3 megapixels, 2 MP, 3 MP and 5 Mp. So here we are providing some basic information regarding its resolution format. Resolution is simply a measure of how many millions of pixels the camera’s image sensor captures to produce a digital image. The more megapixels a camera captures, the better the image quality can be without becoming blurry. In conventional analog technology, Television line (TVL) s the main specification for analogue cameras. Analogue technology is evolving into digital technology giving high resolution for better picture quality. NTSC: 700 TVL = 976 (Horizontal) * 494 (vertical)= Approx 480k Pixels. PAL: 700 TVL = 976 (Horizontal) * 582 (vertical) = Approx 570 pixels. Though resolution is one of the most important specifications, but this doesn’t mean it can provide excellent surveillance solution. Different from these traditions digital cameras, IP cameras rely on network for video streaming which means it consumes some network bandwidth. HD CVI stands for High Definition Composite video interface. This is a brand new technology in the security camera industry that provides a different method of transmitting video signals over coaxial cables. Before HD- CVI technology, IP technology was the only known megapixel resolution solution for many years. But now the HD CVI technology is reversing the situation. So given below are the various advantages of HD-CVI camera technology. Provides cost effective HD resolution: HD CVI products are designed as such to provide high megapixel resolution The 720 P camera can deliver images with up to 1.0 MP resolution which is tow times than the traditional analog system. Support long range video transmission: Another advantage of HD CVI technology is that it can support logn range loss-less video transmission which reaches upto 500 meters. Has Simple design and better Stability: HD CVI is a simple to use technology without any video latency video transmission. It’s one of the easiest system among HD System. However in IPC and SLOC, systems not only require hard wire connection but also require users to configure the IP address, gateway and need to avoid IP address conflict, Video latency, incompatibility with different web browsers and other software incompatibility issues etc. Adopts close circuit transmission for higher security: If we talk about high security for video monitoring or surveillance, the system used is typically close-circuit this will not leak any data/video. On the other hand, IP technology utilizes WAN network for video transmission, which means more exposure to intrusion threats even after using encryption to protect data. Thus, CCTV surveillance is widely used to avoid threats and for higher security.